November – The last of the Halloween candy has been eaten, Daylight Savings Time goes to bed until next year, moderate temperatures prevail with early morning coolness giving way to sunny afternoons, the eagles are back in their nesting grounds as is the great horned owl family next door. You can tell its late fall in SW Florida by the turning of the license plates – meaning that the traditional Sunshine State Florida plates are now intermingled with out of state plates. Yes the emigration of the snow birds from Northern latitudes has begun! Welcome Back Snowbirds! We love your trek back to SW Florida and spending the upcoming winter with us on the Cape! A bit north of Cape Coral, Port Charlotte and Punta Gorda you will find a great beach experience – Welcome to Englewood Beach, located on Manasota Key (a key is different than an island in that it has no water source) a beautiful beach area with numerous amenities. Parking is available for a nominal fee. Amenities include: basketball hoops, volleyball nets, a children’s play yard and horseshoe pit with plenty of eateries across the street. The boardwalk leads to a bath house with changing facilities and showers. There are plenty of grills and picnic tables available. The view is fantastic! Unobstructed views of the beach in all directions with the gentle blue green waters of the Gulf of Mexico lapping the shores. The Koreshan State Historic Site is a state park in Lee County, Florida located on U.S. Highway 41 at Corkscrew Road. It was also added to the National Register of Historic Places in, 1976 under the designation of Koreshan Unity Settlement Historic District. What was the Koreshan Unity? The Koreshan Unity was a communal utopia formed by Cyrus Teed, who took the name “Koresh”, the original Persian of his name. The Koreshans followed Teed’s beliefs, called Koreshanity. The main beliefs of Koreshanity, or Koreshan Universalogy, are Cellular Cosmogony, which is Teed’s unique form of Hollow Earth theory which puts forth the idea that the Earth, and universe are contained within a concave sphere, or ‘cell’. The Koreshans even conducted several experiments, similar to those conducted by believers in a Flat Earth. Other beliefs included reincarnation, immortality, collectivism, celibacy and alchemy. Come and celebrate Cape Coral! The Cape Coral Coconut Festival is an annual celebration of Cape Coral’s uniqueness to the Southwest Florida area. The event includes bands, entertainment, carnival rides, games, food, contests, fireworks, and much more! Fort Myers Beach Get Ready to Hit the Sand! This is a great time of the year to get together with nature! Hiking, canoeing, kayaking – the Cape Coral and surrounding area has it all for the nature enthusiast: From hiking the Corkscrew Swamp Preserve in Naples to Moonlight Kayaking at the Eco Preserve in Cape Coral. Or, for the less adventurous take a cruise on the Caloo or to Sanibel and see the dolphins! Whatever your taste you will be rewarded with a vast array of wildlife viewing! Wishing you and your family a Happy Thanksgiving. Give thanks for all the blessings, give thanks for your family and friends and take the time to enjoy the world around you. Best wishes and have a great Thanksgiving Holiday! Thank you for visiting our little piece of paradise! See you in November! If you are interested in visiting the SW Florida area or have decided its time to have your own piece of paradise whether seasonal or full time give us a call or email us we will be glad to help! August on the Cape – Traditionally the last month of summer so its beach time, cooling off in the surf or at Sun Splash Fun Park, finding a nice shady spot under a beach umbrella, sitting out on your lanai in the evening and feeling that summer breeze kick in. Whatever your pleasure you are sure to find it here in Cape Coral and SW Florida. The beaches are pretty much uncrowded awaiting the influx of the seasonal snow birds in October and November. Farmers markets have moved to their indoor locations to keep their wares cool. Restaurants have their summer patio spaces ready for your dining pleasure. Dinner fare can consists of great seafood caught in the local Gulf waters, some great steaks from Florida Beef it’s what’s for dinner, or perhaps your taste is more international – if so you can choose from a variety of Japanese, Chinese, Italian, Tex Mex and other international venues throughout the city. And of course nothing beats the American favorite – the Burger! Plenty of gourmet burger venues throughout the Cape and surrounding area many featuring Black Angus Certified Beef – delicious! Don’t forget the beach areas in Fort Myers – plenty of outdoor restaurants and dining spaces line the Fort Myers Beach area some even have great nightly entertainment. Economic growth continues a positive trend in SW Florida. Naples ranked number 1 with Cape Coral ranked number 6 among the 10 metro areas with the highest projected job growth. Projections for Cape Coral job growth +3.7%, median income $…46,016, unemployment rate 5.8%. The other top areas include Port St. Lucie, FL, 5 major areas in Texas (Houston, Dallas, Austin, St. Antonio and McAllen) and one in Colorado (Greely) and NC (Raleigh) . Summary – Source http://www.trulia.com/real_estate/Cape_Coral-Florida/market-trends/ The housing market continues to appreciate with another increase in median sales price for all residential homes types. And the average price per square foot also continues to increase. The summary highlights: The median sales price for homes in Cape Coral FL for Apr 14 to Jul 14 was $155,000. This represents an increase of 2.1%, or $3,250, compared to the prior quarter and an increase of 5.1% compared to the prior year. Sales prices have appreciated 64% over the last 5 years in Cape Coral. The average listing price for Cape Coral homes for sale on Trulia was $310,513 for the week ending Jul 23, which represents a decline of 1.2%, or $3,767, compared to the prior week and a decline of 0.4%, or $1,150, compared to the week ending Jul 02. 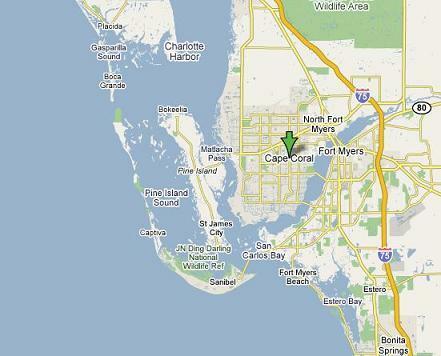 Average price per square foot for Cape Coral FL was $109, an increase of 5.8% compared to the same period last year. Popular neighborhoods in Cape Coral include Pelican, Caloosahatchee, Hancock, Mariner, Burnt Store, and Trafalgar. Looking to “Test Drive” the Cape Coral Area With a Seasonal Rental? For their next event, the South Cape Hospitality and Entertainment Association is literally going outside the box and into the frying pan. The association is set to host its inaugural “South Cape BaconFest Trolley Run” Saturday, August 23. The event will take place from 6:00pm to 11:00pm, and brings back the popular festival trolleys to take attendees to the 13 participating South Cape bars and restaurants. At each stop, attendees will enjoy a bacon themed drink or food sample that ranges from appetizers to entrees to desserts. Check-in for “BaconFest” will begin at 5:00pm at Big John Plaza and Club Square. Participants may park in the public lots and ride the trolleys to the other locations. All participants will need to check-in by 7:00pm to obtain event wristband and passport. Tickets cost $20 per person and can be purchased at any of the participating locations. There are only 1,000 tickets available for the event, and they will be sold on a first come, first serve basis. Attendees of this event must be at least 21 years old. Going Solar? 6 Things You Must Know About Going Solar! 5 Tips to Help You Sell Your Home at the Best Price!